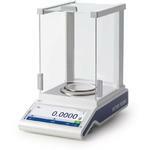 The built-in security features on MS-TS analytical balances ensure results are always valid. Operators receive a warning if any problems are encountered or tolerances are not adhered to. Corrective actions can be taken immediately, avoiding costly reworking later. LevelControl, MinWeigh and automatic internal adjustment with FACT support compliance with regulations. The ISOLog function maintains a record of all weighing relevant changes to the balance’s settings. For additional security, settings can be passcode protected. The built-in security features on MS-TS analytical balances ensure results are always valid. Operators receive a warning if any problems are encountered or tolerances are not adhered to. Corrective actions can be taken immediately, avoiding costly reworking later. LevelControl, MinWeigh and automatic internal adjustment with FACT support compliance with regulations. The ISOLog function maintains a record of all weighing relevant changes to the balance’s settings. For additional security, settings can be passcode protected. The 7" extra-large color TFT touchscreen display is operable through cotton, silicon and rubber gloves. An intuitive user interface and 18mm high digits bring comfort to your daily tasks. Built-in function simplifies balance leveling MS-TS Analytical Balances include built-in LevelControl function that issues a warning when the balance is not level and provides onscreen guidance to help you level the balance correctly within seconds. Trusted Results at Your Fingertips MS-TS balances are reassuringly easy to use and fully support lean processes in the laboratory and on the factory floor. Increase Your Productivity with Convenient Applications and Easy-to-Read Graphics 11 built-in applications, including differential weighing, density determination and formulation, guide you step by step through your weighing procedures, support you with data management and help improve process security. Evaluate your results easily with the statistics function and on-screen charts. Free Application Note: Easy Differential Weighing The new application note on how the built-in application greatly simplifies the differential weighing of a sample series before and after being in a drying oven. MinWeigh function ensures process tolerances The display digits turn red if the net sample is below a pre-programmed minimum value. Selection between a customized or certficated MinWeigh method is possible. Optimized display makes daily tasks easier The 7" extra-large color TFT touchscreen display is operable through cotton, silicone and latex gloves. An intuitive user interface and 18mm high digits bring comfort to your daily tasks. Up to 4 IDs per sample ensures traceability Enter up to 4 IDs per sample using the built-in touchpad or a barcode reader for fast and reliable traceability (e.g. user, sample, batch etc.). Easy-cleaning features save time and effort The QuickLock draft shield dismantles in seconds without any tools and all parts are dishwasher proof. Surfaces are smooth and rounded to make cleaning easy. Get connected for easy data handling USB Host, USB Device, RS232, Bluetooth (optional) Built-in PC Direct function – easy data transfer without PC software.